It takes commitment – I mean, DIGGING DEEP – to spend literally all morning watching Saturday Night Live videos online. But I’m willing to make that kind of sacrifice for your children. I think it’s that important. Saturday Night Live comes on at 11:30 at night for a reason. Young kids shouldn’t be watching this stuff. Most of it, anyway. 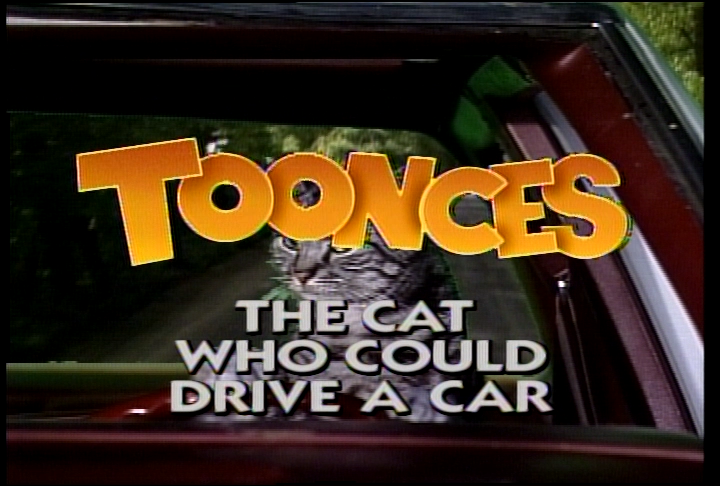 But there are some G-rated gems out there that can introduce your brood to vast realms of comedic genius — one robotic driving cat at a time. 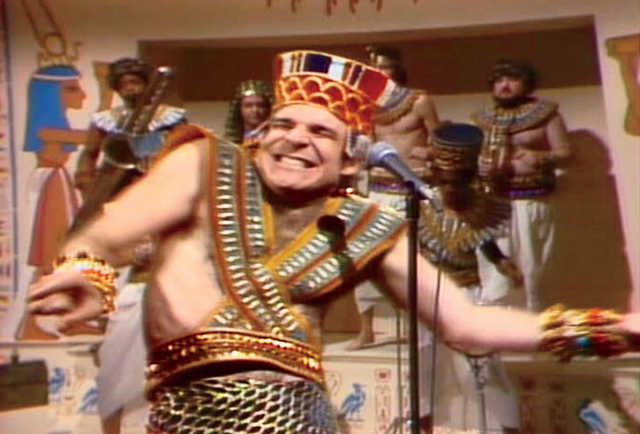 So on Day 23 of my 31 Days of Fun/Funny/Funtastic Stuff for Kids, I happily present to you my 10 Favorite Saturday Night Live Starter Skits (for Kids) — not necessarily in order of awesomeness. These are the gateways to a whole new world of ridiculousness. This is the ultimate. Previous knowledge of Blue Oyster Cult not required; it is all about a hairy paunchy belly poking out of a too-tight sweater. 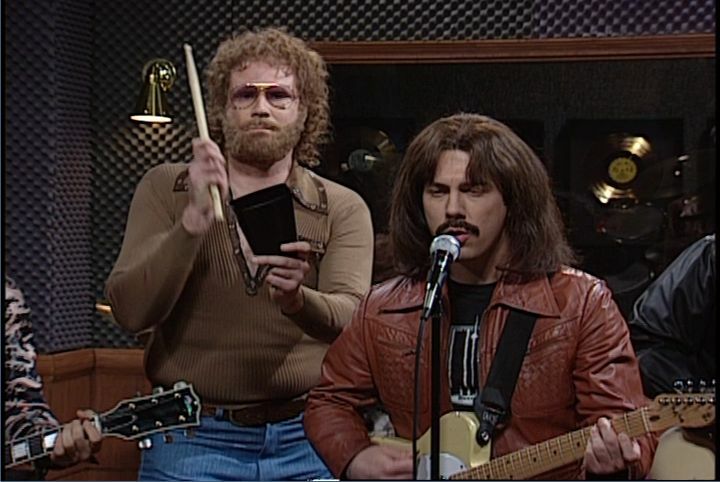 I hope I’m preaching to the choir here, and your kids already have already seen the need for more cowbell. But this is (not to understate it) required viewing for life in the 21st century. Your kids may not be hip to the Marky Mark scene — or his Funky Bunch. But what kid doesn’t love animals? 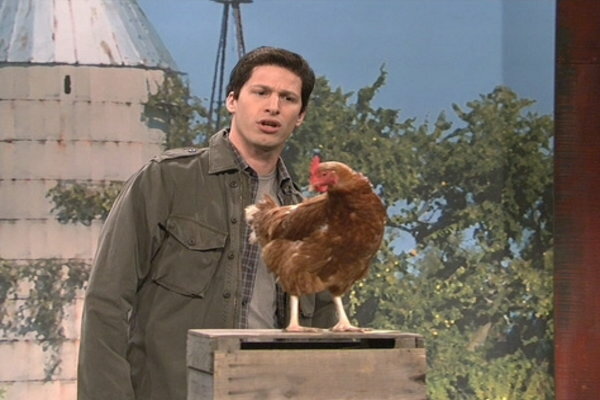 Or better yet, what kid wouldn’t love Andy Samberg’s inane Mark Wahlberg impression as he tries to chat up a chicken? “Say ‘Hi’ to your mother for me” could become a thing at your house. More animals and a weird delusional man-child who loves them. Or wants to make a coat out of them. 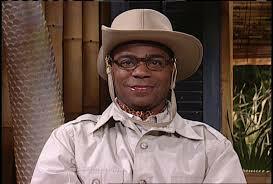 Tracy Morgan is just odd and silly and buffoonish — all the things that kids love most. And oh yeah, did I mention there are animals? 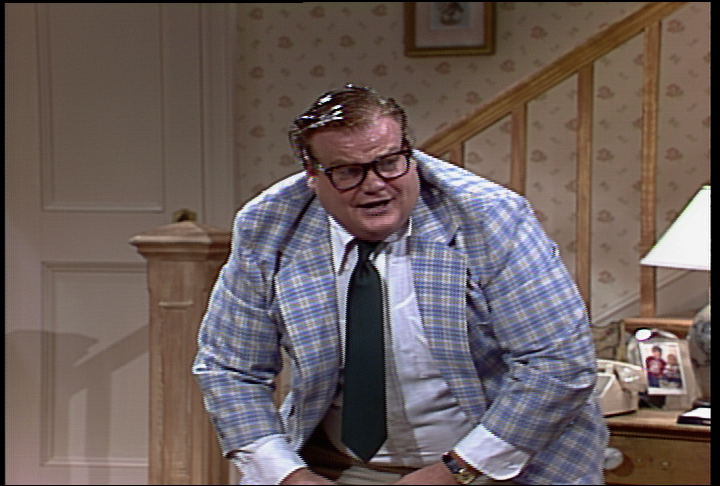 You do NOT want your kids to end up in a van down by the river. So they need to get a few pointers from this guy — and to laugh hysterically as he flattens a perfectly good coffee table. A cat who drives a car and careens wildly off cliffs? This is the stuff kids LIVE FOR. The other thing kids live for is cats that shoot lasers out of their mouths. You have to be careful with these. 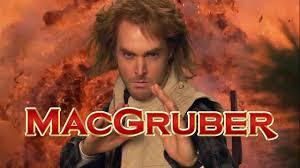 Oh mama, you can get on a tear with some addictive bite-size MacGruber skits and end up in R territory quick. 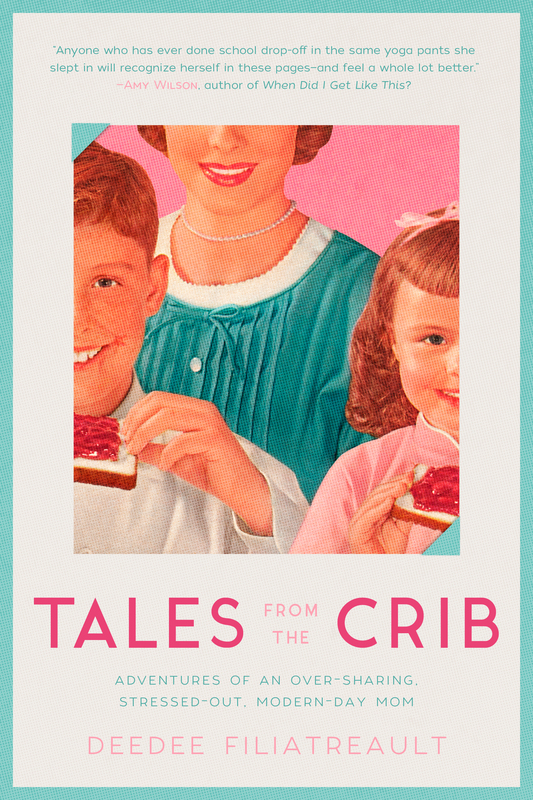 But this one has been mom-approved (if you trust my judgment, and I’m not sure you should…). Kids won’t get the MacGyver joke, but whatevs. There’s funny hair-dos and stuff blows up. 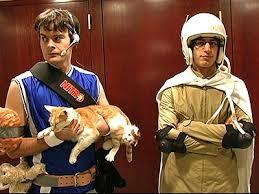 I’d want to have this skit with me on a desert island. Maybe I’m just a product of my Price is Right rearing, but game show hostesses “Shonda” and “Vonda” posing with frozen chickens and talking in those weird made-up accents — it’s fall-down funny to me. Your kids don’t need to know who Bob Barker or Vanna White is to laugh at a couple of big-haired lunatics crashing through walls in a golf cart. Y’all. I saved this for last because it just might be MY FAVORITE EVER. And because you’ve probably never seen it. Melissa McCarthy is a scream every single second she’s on screen. She is a total case study in how to milk something for laughs — either with a subtle look or a gesture…or by pouring an entire bottle of Ranch dressing down her front. There’s something for everybody, and my kids know this crazy thing backwards and forwards. As they should. 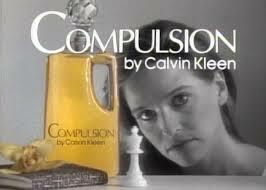 When I recently posted a list of my favorite Jan Hooks skits, I looked high and low for this commercial. Hallelujah, it has been FOUND. I personally cannot relate to its clean-freak protagonist, but this goes down as one of the smartest and most side-splitting ads ever made on SNL, featuring two of its greatest talents. Plus, your kids can watch it. They won’t really get it, but maybe it will encourage them to clean the bathroom. So that’s my SHORT list. Now I’m waiting. What are your SNL favorites that just might pass the family-friendly smell test? And by the way, this may have been the best way to fritter away a morning ever. 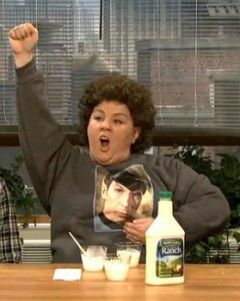 My favorites from SNL are “cow bells” and synchronized swimming,. Love your blogs. Oooh! The synchronized swimming skit! That’s another choice nugget that works for the kiddos. Martin Short is a marvel.